I recently published my philosophy regarding education in which I highlight reflection as a regular practice. Just after publishing, I started a new job as an assistant teacher in a Lego brick-building program so I thought I should reflect. I’ve had the pleasure of working with two different teachers so far. The first has been with this company for quite a while working part time. She also has a background in special education. With her, my experience was much more like co-teaching than assisting. I felt comfortable jumping in and offering ideas. I was able to help with transitions, building partners, and organization. I’m also working with the owner of the franchise. He’s been doing this for nearly ten years so he doesn’t “need” as much assistance, and I don’t feel as comfortable offering advice. I do what I can to support the routines he has in place. I really enjoyed my first full week at my new job. Like I said before, I felt very comfortable and welcome— so much so that it really felt like co-teaching instead of lead and assistant. There were plenty of times I was able to chime in or clarify things for the campers. If I noticed something important, or a lot of the kids were having the same question, I felt comfortable speaking up and talking to the whole class at once. I helped review the rules while Ms. J passed out kits so that there was as little down time as possible. Kids always need to *do something* so I wanted to make sure there was something productive available. I was even able to introduce a procedure to transition from our build to our craft. First, a little background. The kids work in pairs to do motorized Lego builds. There is a little booklet of instructions, and both builders need to be ready before a page can be flipped. This encourages them to work together and help each other out. To continue this accountability and confirm things are put away correctly, campers had to bring me their build kit for approval before moving on to their craft. This won’t always be an option since formats vary, but it’s a contribution I made that I’d like to remember. There are only a few RULES for the classes with the most important one being respect. Respect each other, the teacher, and the equipment; Use good manners; Listen and follow directions; Everyone cleans; and Stay in sight of a teacher. The kids’ ages range from 5 to 12 years old, and some days I feel like they have no idea what respect is. For the teacher I’ve been working with this week, respect is focused on being quiet while he is talking and being careful with the equipment. I know that respect is a pretty broad subject so I need to choose which kinds of respect to focus on. I think those two mentioned above are pretty important, but a lot of these kids lack respect for others when it comes to personal space. These camps have been mostly boys, and boys can be a little more physical. In future I think when I talk about respect, I will also talk about keeping our hands to ourselves. Again, this is a huge topic and something to be taught, but in a summer camp/after school program, I’m going to have to pick and choose. I’ve been reading and writing a lot about procedures lately, and they even come into play in a program like this. The build booklets provide a visual procedure to follow. Builders are supposed to wait for their partner to flip the page. That’s another procedure. Ms. J had a hand raising procedure for if a kiddo needed help (raise hand) or a part (put hand on head). It was so she could help those with a part need quickly and spend more time with those who needed build help. Mr. K allows/encourages campers to add on to or change their builds once they’ve followed the initial directions. It’s not exactly a procedure, but it is part of his routine. It’s something that he wants the kids to *do. * I will continue to watch and see what works so that I can come up with my own procedures or adaptations of good ones. What do you think of the rules and procedures I’ve mentioned? Do they seem reasonable? Do you have any suggestions? Please leave a comment below to let me know what you think. I believe all children have the right and the ability to learn when given the opportunity and high expectations. It is my job to help them figure out how to learn. It is the job of the standards to tell me what they learn. There are many different theories regarding learning styles, but the big takeaway for all of that is to know that each individual you meet is different and learns in different ways. That is also a foundation of special education, universal design for learning, and differentiating instruction. I plan to provide students with multiple means of expression, representation, and engagement in every situation. Special education specifically comes into play when a student requires specially designed instruction where either the content, the method, or the delivery of instruction is changed. There’s a lot to be taught at school outside the state standards including cooperation, collaboration, behavior, morals, social skills, and daily living skills. Many of these things are learned naturally, but there are many possibilities to be more explicit. A focus on working in groups and a classroom economy will help with these goals. Good classroom management is integral to having the time to teach everything I might wish. Two other things are important to me in my role as a teacher: reflective practice and family involvement. I can only improve as an educator by reflecting on how I’ve done as well as continuing my own education from outside sources. I also believe that involving families in the educational process enriches learning at home and at school. When it comes to multiple means of expression, reception, and engagement there are many choices, especially when you include various technologies. There are three main ways to express one’s self: audibly, visually, and pictorially. So a student may tell me what they need, write what they need, or draw what they need. Various Alternative Augmentative Communication (AAC) can also be used. Students receive information in a variety of ways. Some kiddos can watch and learn so modeling is important. Others are good at constructing their own knowledge through reading, exploration, problem solving, or group work. Still others need specific, explicit, and sometimes concrete examples. By keeping these things in mind, I can then decide on different means of engagement. For those who enjoy reading, I want to have a variety of texts available including grade-level, picture books (grade-level books augmented with pictures), audiobooks, or books in their native language (preferably in English as well). Songs, videos, and brain teasers are other ways to engage students in new activities. Students should be able to access knowledge at whatever level they are at, and I hope to provide those entrances for them. No matter the age, it’s never to early to learn about economics: earning, saving, and spending. This will be accomplished with a classroom economy. Students will apply for jobs and earn a salary. If they do not do their jobs, then they will not get paid. This teaches responsibility. They will be able to earn bonus money by doing well on assignments, being good citizens, and participating. They will use their money to pay rent and shop in the class store. They will be able to buy items like art supplies, athletic supplies, or intangible items like extra time doing a favorite activity. Larger items will cost more and students will need to plan and save accordingly. They will keep track of their money. These things teach planning, delayed gratification, and organization. They are lofty goals, but I believe any student can reach them. Cooperation, collaboration, and teamwork are also things to strive for. People rarely work alone, and students need to learn these skills. My students will have the opportunity to work in groups with given criteria and constraints. This should also foster creativity in thinking about the problem they are working on. Students within the group will also have certain roles with procedures to follow. For instance, student one will always collect and return materials, but student one changes each time a new group is formed. Some roles may be universal while others apply only to specific tasks. Students will come to understand, however, that they have a role and a job to fulfill within the group. There is no classroom management without procedures. You’ve already seen some of my examples. The procedures for group work include criteria, constraints, and roles. There should be procedures for a great number of things including how to line up, what to do in the hallways, and how to get the teacher’s attention. The focus for these procedures is that I am setting my expectation for what students should do. I plan on having procedures for all of these things, but there are some specific ones that I would like to share with you. One is my morning routine; one is my afternoon routine; and another is the Island of Isolation. My class’s morning routine will go something like this. Each student is greeted at the door and given two minutes to talk to me about anything they’d like. Talking isn’t required but the two minutes is. This is that individual student’s special time with me although I am available always. After the two minutes, the student goes quietly into the classroom, puts their things away, and begins an assignment that is posted in the same place each day. Any accommodations or modifications will be just inside that student’s desk so it looks like they’re just taking out a piece of paper. The opening assignment will most likely be grammar but may change depending on the day’s schedule. If a student completes the assignment before everyone has gotten their two minutes, there will be a poster of additional things a student may do. Reading will be at the top of the list, but there will be multiple choices. Class will move on once everyone has finished the work. The idea for my afternoon procedure initially came from Game of Thrones when Aria is asked every day for three things that she learned. I thought, “Wouldn’t it be awesome if a student could go home with a record of things they learned throughout the year? Something they picked?” At the end of the day in the classroom, students will have time to record three things they learned that day. The criteria will be three unique things of their own choosing represented in any way that will help them remember. For example, they can write, draw, or attach part of a worksheet. Constraints are: may not leave seat and can only use a single sheet of paper. Paper can be front and back, and students can quietly ask a neighbor for a missing supply. I plan on keeping a record of my own at the same time. I don’t want to give examples unless a student seems very stuck or extremely off track. These binders are for the students, but I plan on looking at them from time to time so I can know what they are learning. The final procedure that I would like to share is my idea of an Island of Isolation. This can be used in any classroom with any age group but comes from the needs of certain types of students. Any student who needs time alone is allowed to visit The Island. There will be a visual timer just outside the entrance always set to five minutes. The student starts the timer and is left alone. The Island will be a comfortable place with different sensory items available and ideally a curtain for privacy. The lighting will be soft and the colors soothing. Any student that may have a specific thing that helps calm them down will be near The Island as well. When the five minutes is up, the student comes back to class and continues working. Every student knows that the Island of Isolation is there for them to use any time we are in the classroom and no one asks why someone uses it. I understand that this is something that could be abused so there will be procedures in place to handle that as well. As a practicum student, reflecting on how a lesson went was part of the assignment. Not only did we sit down with our observer teacher after it, we had to write about it. We were also encouraged to reflect with our mentor teachers. All of this was for our own learning and improvement. I believe that this has helped me improve already and should continue into my professional career. Each day after school, perhaps while I’m writing about the things I learned, I will go over the day. I don’t want to just focus on how the lessons went but about everything. Is there more I can do to reach a particular student? Am I sure there are different levels of entry into an assignment? Does everyone understand the procedures? And the list goes on. Along with those types of questions and the things I learned, I also want to keep a record of things that went well. Those types of things can always be tweaked but can also be relied on in the future. From these reflections, I can continue to learn and improve my own teaching. As a student, I also had the opportunity to attend a school-held PD and a conference. I really enjoyed them and plan to continue this practice. There are also many books, modules, and online courses available to study. It’s important to be self-motivated and diverse when studying, which I will continue to be. I think it is very important to involve families in the learning process. They should be invited to the schools and classrooms, but I think they should also be met in places where they are comfortable. Teachers should build relationships with students, but they should build relationships with their families as well— positive ones. There are many benefits to this that I’m sure I don’t need to list. Here are some of my own ideas on how to involve families. The first is to allow members of my students’ families to share their expertise or passion with the class. Maybe a student’s abuela makes amazing tamales. Or, another student’s mother owns her own business. Any family member who wants to share with the class is welcome, even if they just want to share a favorite book. For this to really work, I need to get to know the families so I can be specific in my invitations. Many schools have some kind of open house or meet the teacher night before school begins, but not all families are able to attend. In these instances, I would like to reach out and meet families on their own terms. If it’s allowed, I would visit them at home but maybe a coffee shop would be more comfortable. It doesn’t really matter how, but I want to make it a point to meet at least one member of my student’s family and meet them early in the year. I want to build positive relationships so that if there is ever a reason to contact home, it should be easy to do. I have some lofty goals, but I have also made very careful plans. With planning, perseverance, reflection, learning, and support, I can make all of these goals a reality. I hope I have highlighted well the things that are important to me, and that you can see how I might accomplish them. This document will continue to change, which is welcome, because those who do not change stagnate. Following are a few procedures that we use to help our guppies successfully participate in class. The entrance into the classroom is a doorway to learning. Each morning, students will be directed to put things away neatly, choose their supplies, and work on solving a brain teaser. Some of the puzzles may be riddles; some may be questions regarding appropriate behavior; sometimes there can be a math problem and so on. When students are finished with this task or any other individual work, there is a list of things that can be done next so other students can continue to work. The way that we share responses is specific, especially when we want everyone to participate. Our guppies sit in a fish bowl shape so there is an obvious order. We start at one end of the bowl and proceed fish by fish to the other end. This gives each fish time to plan what they are going to say since they can see when they will be sharing. Since our treasured rule is to be kind, the students will be giving examples on the first day during circle time. Throughout the year, whenever we see different acts of kindness, we will add to the be kind poster. There are many of these procedures in place so that each fish in the Aquarium can feel safe, accepted, and successful. Our Philosophy in this aquarium for our guppies is to make sure all our students are getting the recognition they deserve and have no fish left behind. We want to shine a light on all our students’ strength and strive for success. Here is a breakdown and details on our Aquarium’s economy system. We will have different roles for each of our students to perform. Students will be able to make requests for particular jobs, but decisions will ultimately be based on student strengths. Every student will be shown as many times as they need how to perform their task. We will be using sand dollars especially designed for this class as our currency. We will be focusing on whole numbers so they will start out in single dollar increments. We may introduce fives and tens before the end of the school year. We will spend time in class teaching the students about the jobs, how they will earn their salary, how they can earn bonus money, how they will need to pay rent each month, and how they can spend their extra money. We will also discuss that they will earn less money if classroom rules are broken. Every week students will earn $2 for completing their classroom job provided no rules were broken. Income is reduced to $1 if any rules are broken. Weekly income will never dip below that amount (for now). Rent on their desks is due on the 28th day of each month, beginning the second month of school. As long as weekly income does not go below $1, each student will be able to pay their rent. Rent is paid before students are allowed to shop at the New Coral Shop. The New Coral Shop will be open once per month immediately after students pay rent. Any student who is unable to pay rent or has no money left over will not be able to shop. The shop will be stocked with a mixture of items including things like snacks, sports balls, pencils, erasers, books, etc. There will also be intangible items such as extra time in an activity of their choice, lunch with teacher, or other special privileges. Items that are worth more will cost more encouraging students to save! There will also be class rewards that students can put money into thereby working together for a common reward. At the end of each week, we will talk about what students did to earn their money, why some of them decided to save or donate to the class reward, and what they can do next week to earn more money. Some conversations may happen one on one to help improve student behavior. Certificates will be rewarded at the end of the year and an overall discussion about what they learned about economy will happen. Teaching responsibility as well as accountability may be one of the harder things that you take on as a teacher. There is no standard; there is no guide. There is only what you think is the best way to foster responsibility inside your classroom. To me, the best idea in teaching responsibility and teaching students to regulate their own learning and behaviors is to talk about and teach Kohlberg’s scale of moral development. This idea came from Rafe Esquith’s book Teach Like Your Hair’s on Fire. You can see how I applied the levels to cooking dinner here. Level 1 of Kohlberg’s scale is preconventional morality. In stages 1 and 2, students are very self-centered. Rules are obeyed to avoid punishment or for personal gain. Level 2 moves into conventional morality where students obey for their teachers approval or because they want to maintain order in the classroom. 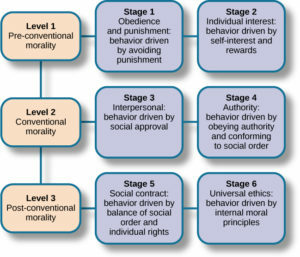 Level 3 is called postconventional morality and becomes centered around others. Stage 5 thinkers obey rules if they make sense and don’t infringe on their rights or the rights of others. If a teacher wants to encourage this, he or she may decide to allow the class to create the classroom rules together in a very democratic way. The final stage of Kohlberg’s scale is the morality of conscience. At this level, students create their own rules to live by in accordance with personal ethical principles. You may be asking yourself, “how do I help students determine what’s ethical?” That’s easy. You yourself should be ethical and act in moral and ethical ways. Modeling is the best way to teach kindness, care, respect, accountability, and responsibility. I model what I expect to see in my students and teach level 6 thinking. Another year-long goal would be to foster engaged thinking. If students are able to understand what they are doing and have strategies in place to help them achieve understanding, then they are more likely to succeed academically in your class and in the future. There are many different comprehension strategies a teacher can use to help students become engaged thinkers. In early years such as preschool or kindergarten, a teacher can use different strategies and talk about them in authentic terms so that students become familiar. Starting as early as first grade, it’s important to teach students the strategies so they can be used in all kinds of learning situations. The following are just a few of my favorites. I also encourage you to watch the video of a teacher actually teaching some comprehension strategies and what they mean. It’s a great lesson, but strategies should be taught in context so they are more likely to be remembered in a variety of situations. The first and probably most important strategy to engage thinking is to activate background knowledge. Learners think about what they already know so they can then connect it to what they are going to learn. A good instructional tool for this is a K-W-L chart. It stands for Know, Wonder, and Learned. Two other important comprehension strategies are determining importance and drawing inferences. Determining importance gets students to concentrate on the big ideas about what they are learning. It also helps them to avoid becoming overwhelmed with information. When a student does need the extra information, though, he or she can draw inferences from a text to read between the lines and grasp meaning that isn’t as explicit as a big idea might be. Another great way to engage thinking is by questioning. Teachers can give students questions to ask as they read a text, are constantly asking questions during instruction, and can use questions to guide students thinking as well as clear up confusions. You can see more about questioning including information on Bloom’s taxonomy here. One last comprehension strategy I am going to mention is summarizing. Learners paraphrase the big ideas to create a concise statement. This helps with recall as well as overall understanding. Summaries can be written down or drawn using charts or illustrations. You can see another post here that talks about the problem-solving guidebook. Providing step-by-step guides like this is a great way to scaffold learning and engage thinking. Motivation is huge in succeeding in academic achievement as well as in many other aspects of life. A person without motivation is unlikely to even survive. To make your job easier as a teacher and to really serve your students’ futures, you should try to encourage self-motivation. It directs behavior toward particular goals. It leads to increased effort and energy in pursuit of those goals. It increases initiation of and persistence in certain activities, even in the face of occasional obstacles and interruptions. It affects cognitive processes, such as what learners pay attention to and how much they think about and elaborate on academic content. The graph above shows many different TARGETS to help encourage self-motivation. Listed below are some of my personal favorites. First is to use authentic activities during learning. If a skill that you are teaching has a practical application, especially one that can be used outside of school or later in life, apply that skill to that activity. If students know how various skills that they are learning will apply to life, they are more likely to learn them and remember them. Creating a community of learners who feel respected and supported is another great way to help motivate students. If a child feels comfortable and knows that he or she will be supported and encouraged, that child will be more likely to try and to engage. Feelings of success will also help motivate a student. Allowing him or her to track academic progress in visual ways will provide that feeling of success and focuses achievement on one’s self instead of in comparison to classmates. I rely on my class to help create a positive learning environment. I encourage student choice, collaboration, and peer and self accountability. I use a classroom economy and recognition to help students succeed in motivating themselves. My room is also a safe space where everyone is welcome and respected. 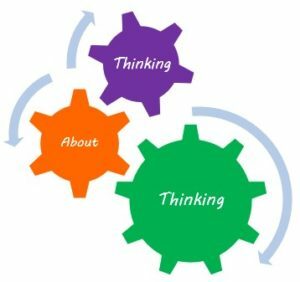 Metacognition is literally thinking about thinking. This basically means that as a teacher you not only need to teach about subjects and topics that need to be learned but to also teach how to learn. There are many different learning strategies that students can learn and apply. Listed below are strategies that I apply in my own classroom. Students reread the sentence containing the word. Students use context clues to figure out the meaning of the word, and if that doesn’t work, they continue to the next step. Students examine the word parts, looking for familiar root words and affixes to aid in figuring out the meaning. If they’re still not successful, they continue to the next step. Students pronounce the word to see if they recognize it when they say it. If they still can’t figure it out, they continue to the next step. Students check the word in a dictionary or ask the teacher for help. This procedure has a great chance of success because it incorporates three different word-learning strategies. Here are some examples of common test-taking strategies. Students who are taught these strategies become “test wise” and are more likely to achieve. If the words “some” or “often” or similar vague words are used in one of the options, it is likely to be the correct option. The option that is longest or most precisely stated is likely to be the correct one. Any choice that has grammatical or spelling errors is not likely to be the correct one. Choices that do not attach smoothly to the stem of the question are not likely to be correct. Find out how questions will be scored. Will all questions count equally? Will points be taken off for deficiencies in spelling, grammar, or neatness? Pace yourself to ensure that you can complete the test. Plan and organize essay questions before writing. Attempt to answer all questions. Guessing is not penalized, so guess when you don’t know the answer. When using a separate answer sheet, check often to make certain that you are marking your responses in the correct space. Be in good physical and mental condition at the time of testing by avoiding late-night cram sessions. These are some final ideas to help students succeed on standardized tests. First, be sure to include formats that are likely to show up on a standardized test in your own assessments. 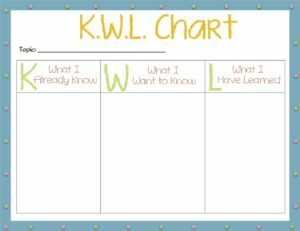 By using these formats, students become familiar with the procedures and expectations. A second idea would be to analyze answers from previous tests. Some answers are designed to trick a student, but if he or she can identify why it might be there, then they are more likely to identify the correct choice.